Amazon Prime members can stream today's episode free! Barnabas finds a note under his door. It appears to be from Vicki. It says she is saying goodbye and thanks him for all he did for her. She says she is leaving because staying will only lead him to harm, and she would rather die than inflict it upon him. He grabs his cane and rushes out the door. 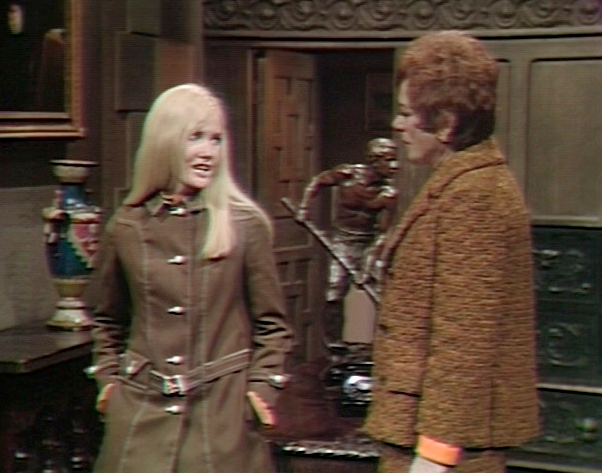 Vicki hears the music from Josette's music box, which then stops. 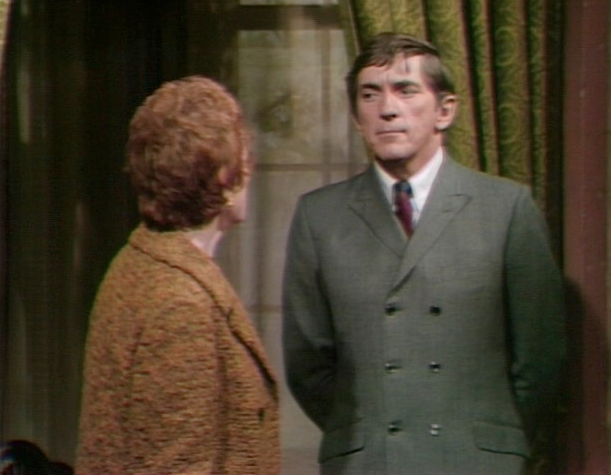 There's a knock at the door, and she answers it, shocked to see Barnabas. She begs him not to come in, and she asks him to return to the old house. He says she can't go through with what she said in the note left under his door. He's surprised, as he says he knows her handwriting. She looks at the note and says it is her handwriting, but she didn't write it. He says Cassandra tricked him, and it worked. Vicki says it hasn't worked yet. Julia comes downstairs and tells Vicki to go into the drawing room. 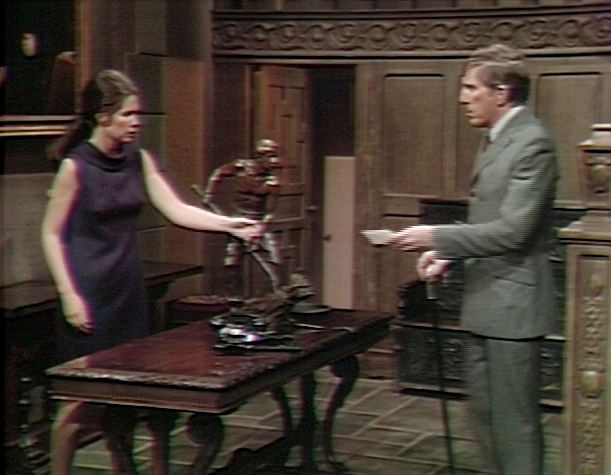 Julia asks why he's there, and he says Cassandra sent a note in Vicki's handwriting, saying she would kill herself. Julia tells Vicki she knows what she's going through. Vicki tells her she's known fear before but nothing like this. She assures Julia that she will never tell Barnabas. She goes upstairs and Carolyn enters. She says she was visiting Joe in the hospital. She says the doctors say he should be able to leave the hospital in 2-3 weeks. She says they talked about several things, and then asked Julia if someone could jump from Widow's Hill and live. She's surprised that Adam is still out there, and no one talked to her about it. Carolyn asks Julia where Adam would stay. She says he must be hiding somewhere. Adam is in the root cellar he had taken Carolyn to when she approaches and opens the door. He hides as she enters. He then grabs her, and she asks him to let her go, as she's his friend. He does. She says she knew he'd come there. He asks her what she wants, and she says she thought he might need help. He grabs her and asks if she brought the police, and she swears she came alone. She tells him she's hurting her, and he lets her go. She says she came to help him because he saved her, but now he seems to have changed into what people thought he was to begin with. She says if he doesn't trust her, she'll leave and won't come back. He asks her to please stay with him. She says she can't stay long, but she can try to help him. She notices that he has learned more words since they last were together. He shows off his extended vocabulary. When he gets to hair, he strokes hers. She asks who helped him learn, and he says Stokes. She asks if he was staying with Stokes, and he says yes. She asks why he didn't go back there, and he says the professor is angry with him. She asks if the professor knows where he is, and Adam says no. She asks if he was happy with Stokes, and Adam says yes. She says she can take him back to Stokes, but Adam doesn't want to go. She says she'll bring Stokes so he can tell Adam that he's not angry with him. Adam asks her to stay, and she says she's going to get help. He says she won't come back, and she assures him she will. He opens the door for her, and she leaves. 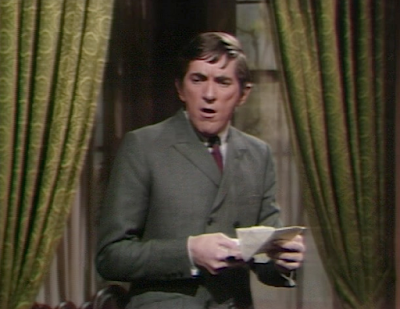 Barnabas throws the fake note into the fire. Julia returns to the old house, and asks how he feels. He asks her how any man feels while waiting for the executioner. He asks why she isn't with Vicki. She tells him Vicki is locked in her room. Barnabas asks how many more times she can have the dream and survive. He says he's a selfish fool. Vicki is strong and courageous while he does nothing about it. He says he's going to go to Vicki and let her tell him the dream. Julia encourages him to wait longer. Julia says they both know that if he has the dream he won't die, but something worse will happen. 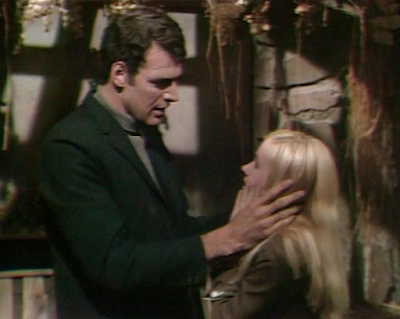 Barnabas tells Julia he asked Cassandra to release Vicki from the curse, in exchange for his vowing to lover her. He says that Cassandra did not respond to his offer, and so he must put a stop to Vicki's suffering. John: Did you get that Vicki was going to kill herself rather than share the dream with Barnabas? I understood she was willing to suffer to protect him, but suicide? 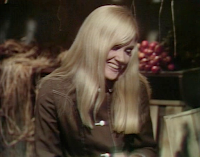 Christine: It sounded to me like her note was just saying she was going to leave, but I think his flair for melodrama may have caused him to believe that when the note said she would rather die than inflict the dream upon him, it implied a plan to kill herself. Angelique surely must have known that when she wrote it. John: How much better can Joe be doing if the doctors won't let him leave the hospital for several weeks? Sounds like a lot more than just a concussion! Christine: It's 1968. Back in those days, they didn't send you home with your IV bottle after a day to tend to yourself. It seems most characters have lengthy stays at the hospital or Windcliff whenever it's their turn for some vacation time. Christine: You're saying Adam is better than Joe or Buzz? 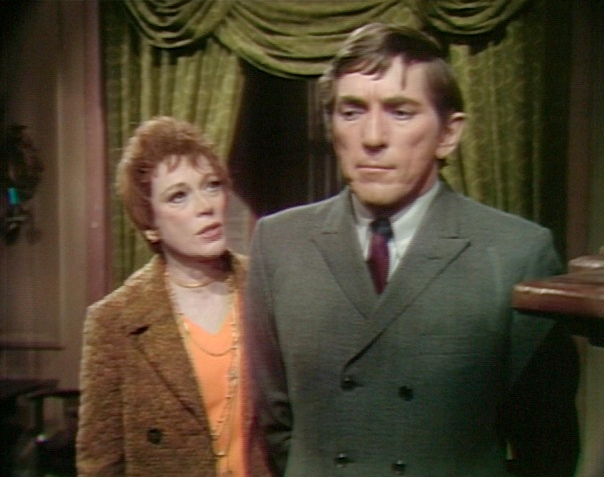 Or are you referring to her sick relationship with her cousin Barnabas? 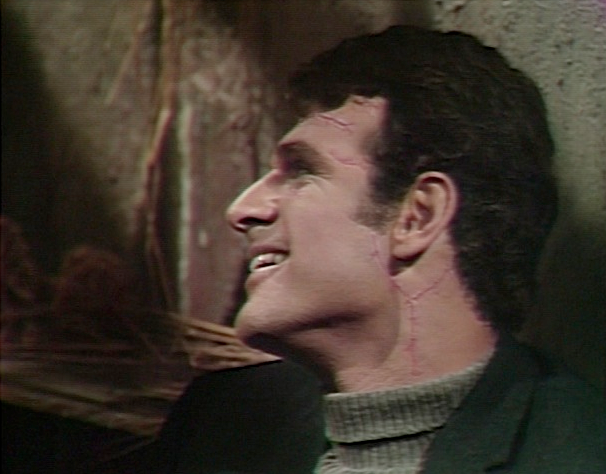 Is Carolyn now having some kind of Frankenfantasy date with Adam? This girl is messed up! Dark Shadows is now available for FREE Streaming to Amazon Prime Members! Awesome Inc. theme. Theme images by t-lorien. Powered by Blogger.